As a proud Houstonian, is it okay to like Dallas? I went on a mission to the Big D to find out for myself if it’s possible. After a lovely day there, I can safely say that Houston’s northern I-45 neighbor has a lot to offer. I’ve never been to Dallas to just visit and explore as a young adult, so this weekend was a really fun excuse to take time and be intentional about my time there and see what all the hype is about! 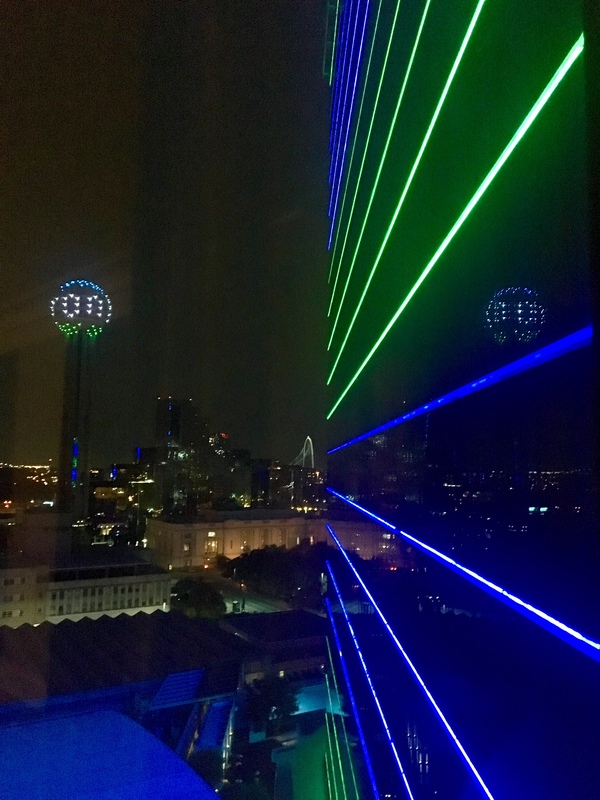 Disclaimer: This post is sponsored by Visit Dallas. All opinions are my own. If you’re like me and arrived to Dallas after four hours of driving on the road, a little R&R should definitely be in store to take the edge off that mind-numbingly boring drive up I-45. Also side note. Shout out to Chevrolet who lent me a Chevy Equinox over the weekend. The car had Sirius XM radio which was clutch when driving through the dead pockets of the countryside where radio wouldn’t come through. I also capitalized on the 4G LTE Wi-Fi hotspot (did you know cars can create hotspots now?!!!) to keep me connected at all times. Truly a game change in the road tripping world! Anyways, after successfully arriving in Dallas, a trip to the Mokara Spa at the Omni Dallas was just what I needed to relax. 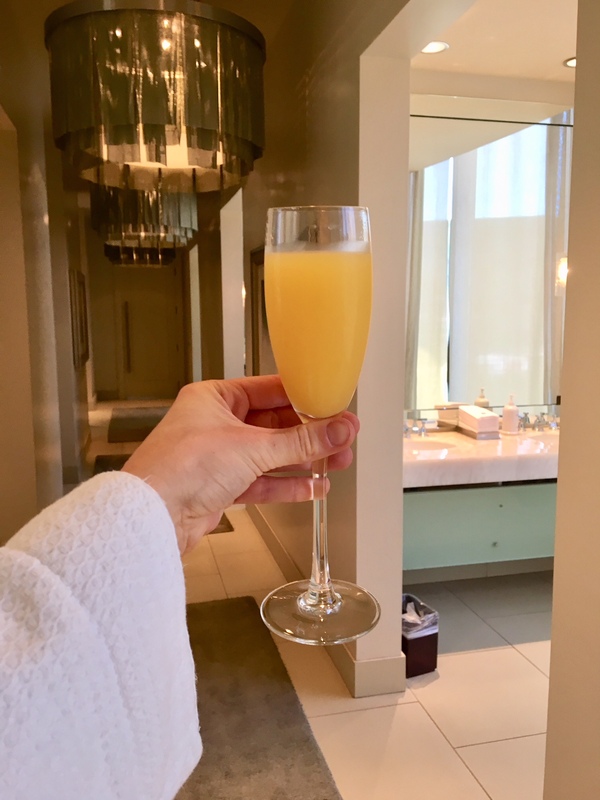 When I checked in and they offered me a mimosa (you get two complimentary drinks with each visit), I knew I was in the right place. I got a mani/pedi and then went off to explore the city! I definitely feel like where you stay can make or break your trip. You inadvertently spend a bit of time there, so you want to make sure that the hotel augments and compliments the traveling experience. Fact I’ve definitely planned whole trips around the place I want to stay in (looking at you Marfa, Texas!). 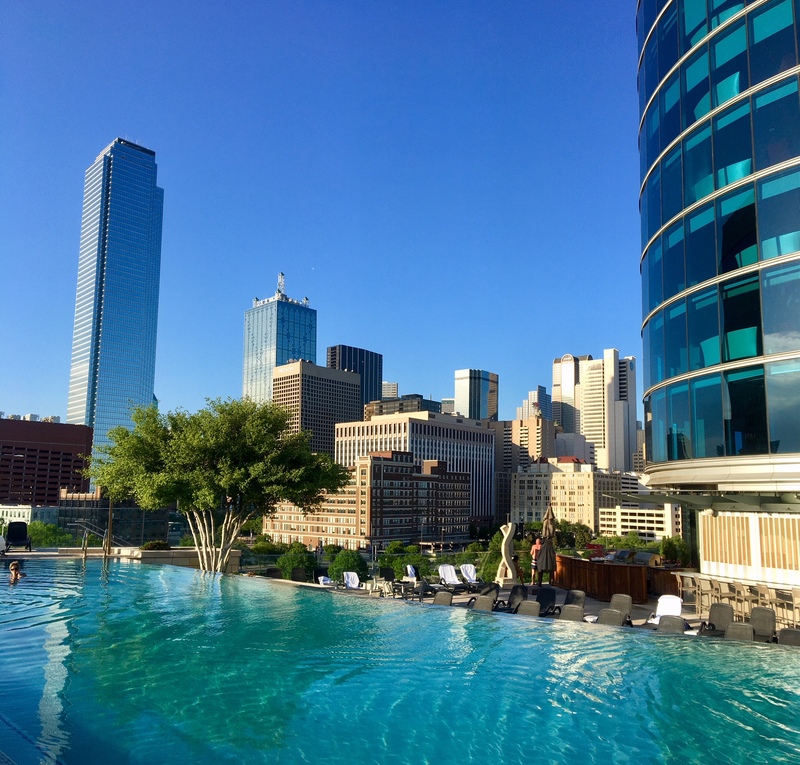 The Omni Dallas exceeded expectations. Heading into this trip, I knew very little things about Dallas, but I did know they have a ball and a famous bridge. (Later learned they’re called Reunion Tower and Margaret Hunt Hill Bridge, respectively). 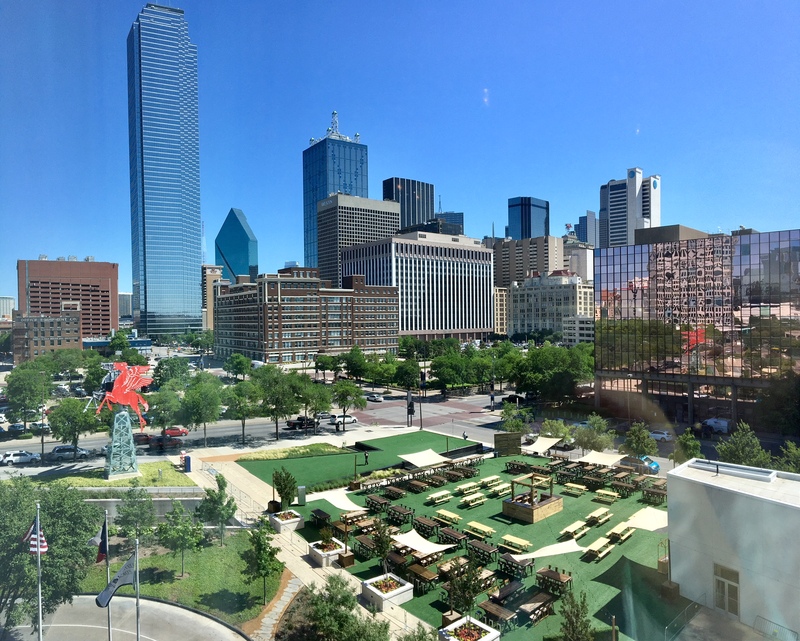 My hotel room had views of both, and the spa overlooked the downtown skyline and red pegasus sculpture that has become ubiquitous with the city of Dallas. The rooftop pool had stunning wrap around views of the city which I thrived on during my breaks throughout the day. 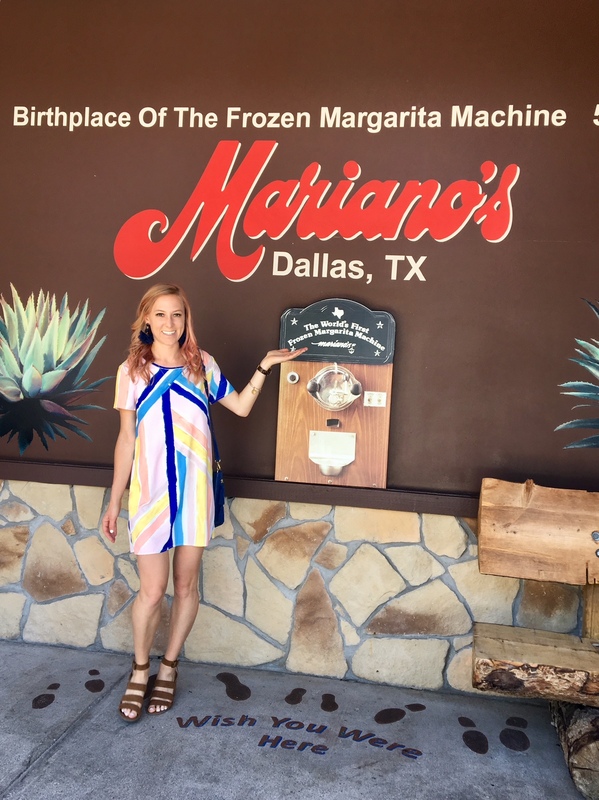 Dallas is home to the original frozen margarita. And with the launch of the Margarita Mile, the city of Dallas is leaning real hard into this claim to fame and gamifying people’s experience with this refreshing drink with prizes and bragging rights. Peak your interest? 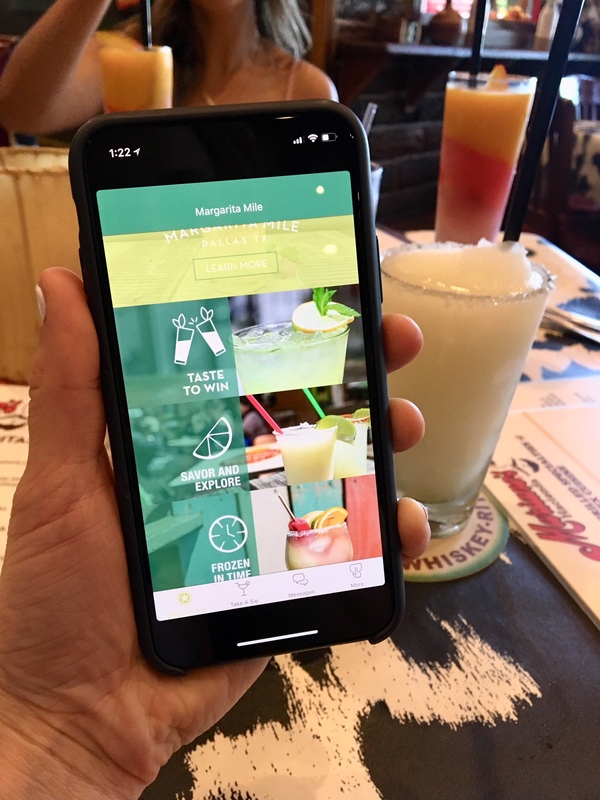 Download the Margarita Mile app and track your progress through some of the city’s most well-known margs. 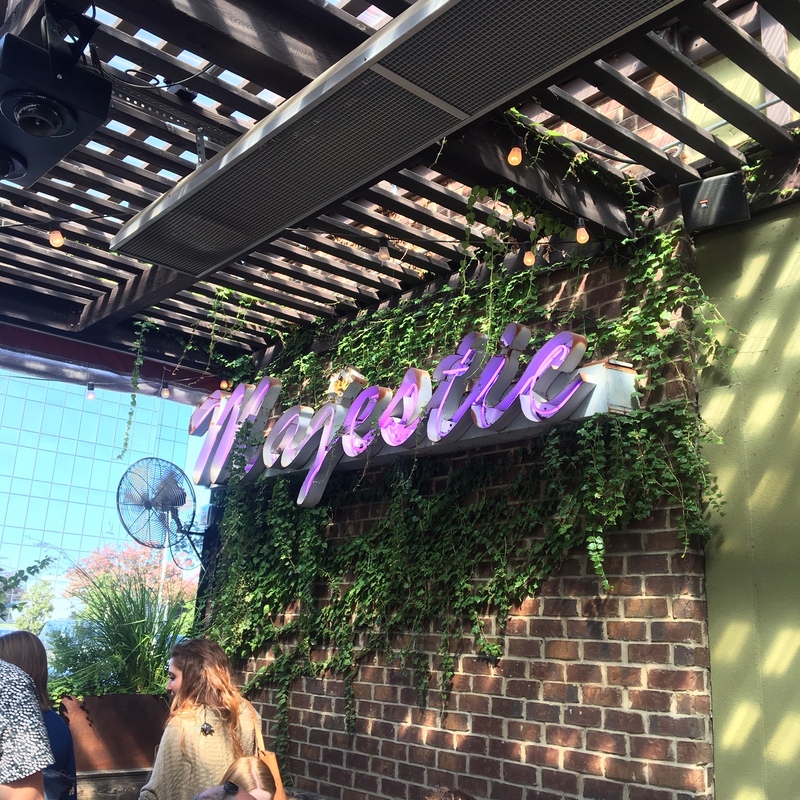 You get credit for each check-in and marg that you try and can earn some cool Dallas swag in the process, not to mention learn about the history of the city via tequila, lime, and agave. Our first stop on the Margarita Mile was at La Hacienda Ranch, where the original frozen margarita was invented in 1971. Using a soft serve ice cream machine, entrepreneur and restaurant owner Mariano perfected the frozen marg consistency and launched a revolution! Although he never patented the design, he was at one point the largest distributed of tequila in America and his original machine is now immortalized in the Smithsonian. This type of innovation I can get on board with. After lunch, we headed out to Deep Ellum to meet up with the Deep Ellum Foundation for a mural tour. We rallied at Common Desk, which is a super cool coworking space in the industrial, refurbished neighborhood. 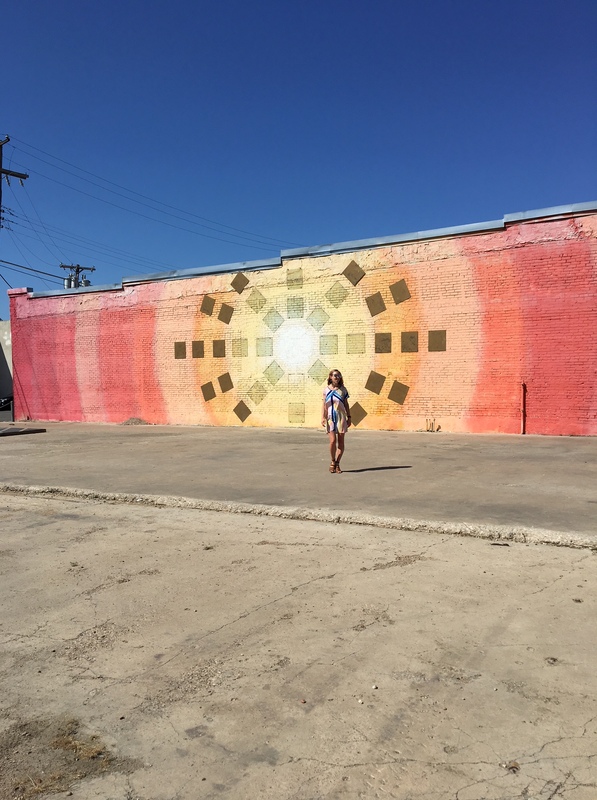 As an art nerd and mural fan girl (see my Houston Guides here), this tour – which was delightfully unofficially and authentic — was everything I wanted and more. We cruised around town hearing the backstory behind some of the murals and stopping to take pictures. To paint a mural in Deep Ellum (which reminds me a lot of EaDo in Houston), all you have to do is get permission from one of the 12 property owners that owns that building. So long as there is no advertising, your design is good to go. Originally in 2015, 42 artists painted 42 murals, but in 2017 a vote happened and all but 6 were painted over with new art. (This is why you might not have been able to find one of the murals you stumbled across on the interwebs.) Read more about the 42 Murals Project. 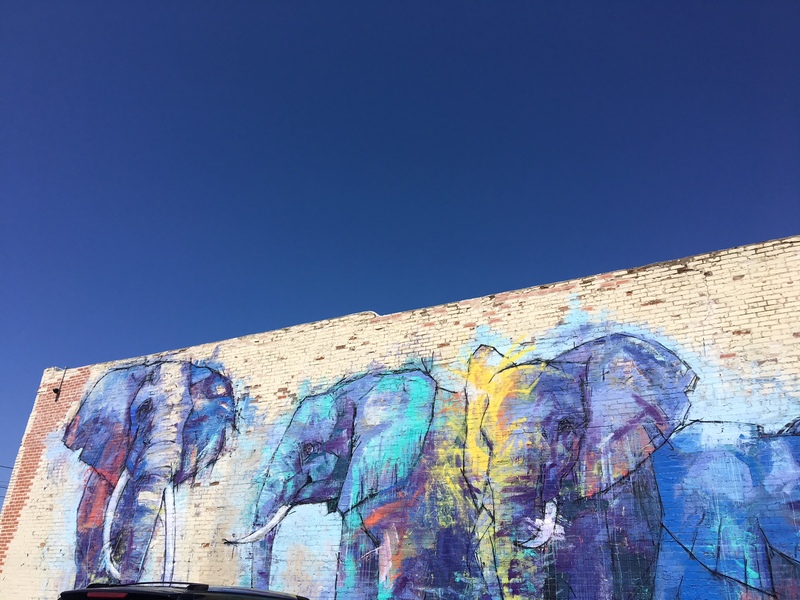 We saw a TON of murals, but some of my favorites were the Deep Ellumphants (get it???) and the robots painted on the side of the old Dr Pepper building. I was moved by the painting of eyes by Lesli Marshall that depicted eyes from 10 women in Texas history. 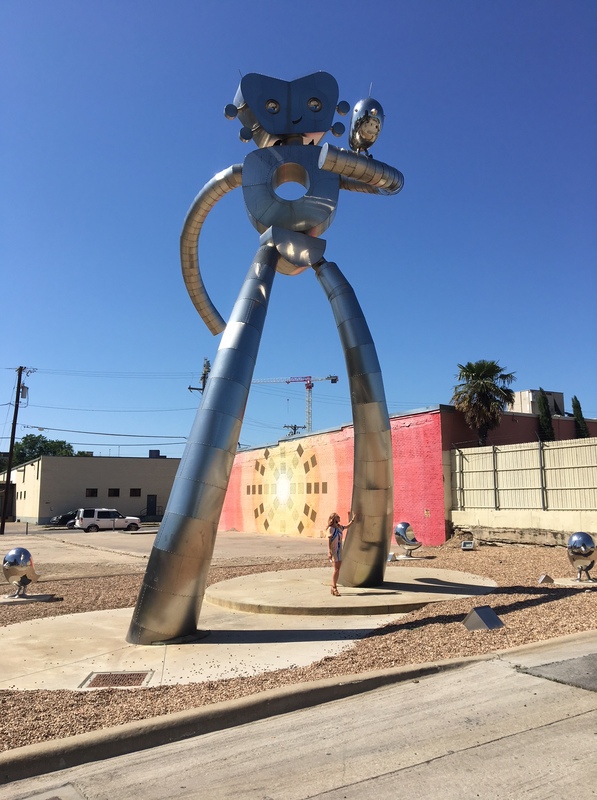 I also enjoyed hearing the story of Traveling Man and seeing his evolution of sculptures across Deep Ellum. Interspersed throughout the tour we popped into Mokah for a bit of iced coffee and then concluded at Deep Ellum Brewing, where the infamous Dallas Blonde is made! 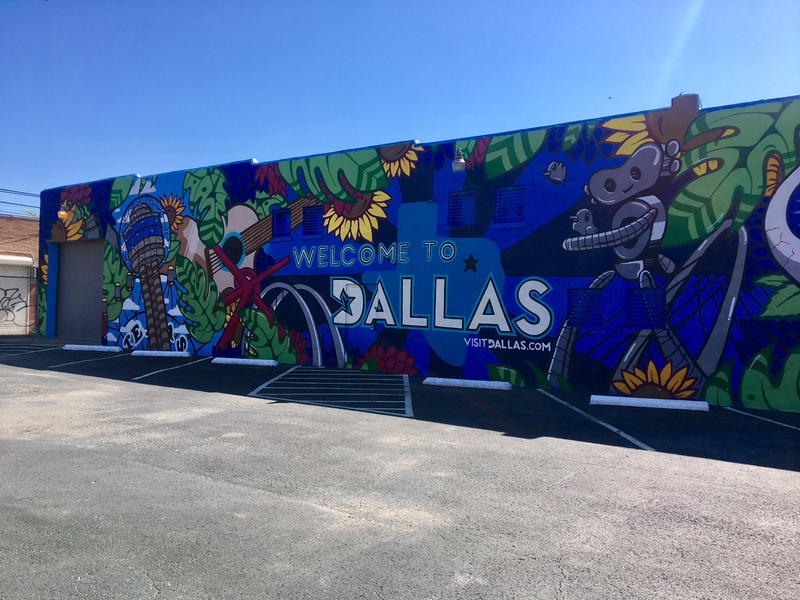 PS Check out the Visit Dallas mural across from Common Desk! You’ll recognize many Dallas landmarks! Deep Ellum is a center of live music and nightlife. Continuing our tour of the Margarita Mile, we headed to Revolver Taco Lounge for dinner. Except….instead of ordering at the counter and enjoying a marg on the edgy, refurbished wood, high-top table in the casual storefront, we headed to the back of the restaurant for a truly unique experience at Purepecha. Purepecha, which is reservation only, was like stepping into your grandmother’s kitchen. Contrasting with the bright lights and bumping club music up front at Revolver Taco Lounge, this private dining area (room for only 16 people!) that felt almost like a speakeasy was adorned with brass pots and pans, wine glasses, overflowing bouquets of flowers and Mexican tiling. 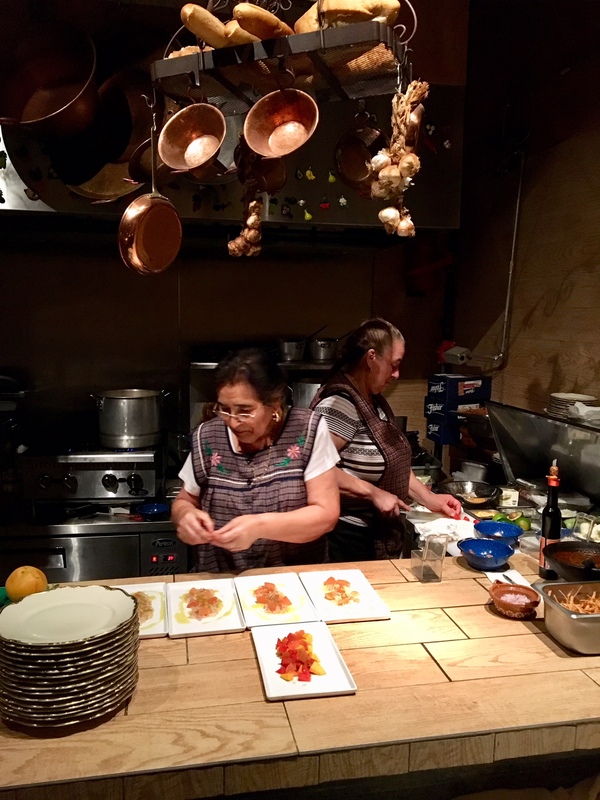 Three abuela-like women, presumably part of the chef’s family, worked in an open kitchen and prepared eight courses of delicious Mexican cuisine. I liked each one better than the last and fell in love with every aspect of the dining experience. Naturally, we had margaritas–this one served with a Mexican tajine spiced rim. Before each course, the server would explain the history of the dish and the ingredients. Although I was eating as a vegan, I was not a second class citizen in this kitchen and the attention to detail and the care that was taken with plating each dish was monumental. 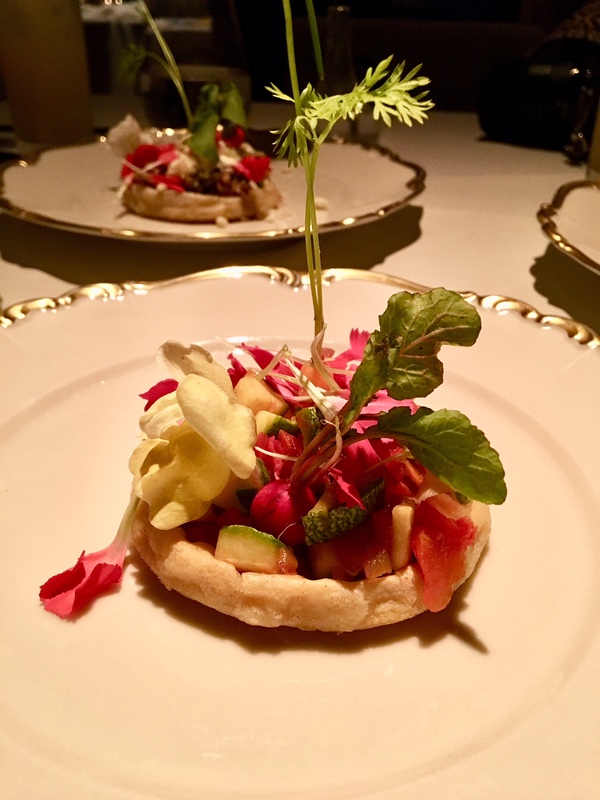 I started off with a faux ceviche salad with watermelon and mango, next we moved into a mushroom soup, followed by a masa with radish and carrots, a bean tostada taco, a green mole, a red mole, finishing with a stuffed pepper and a candied pear for dessert. IT.WAS.HEAVENLY. Truly one of the biggest roses of my trip that sent me back to my hotel dreaming of Mexico and feeling all the warm fuzzies for Dallas. 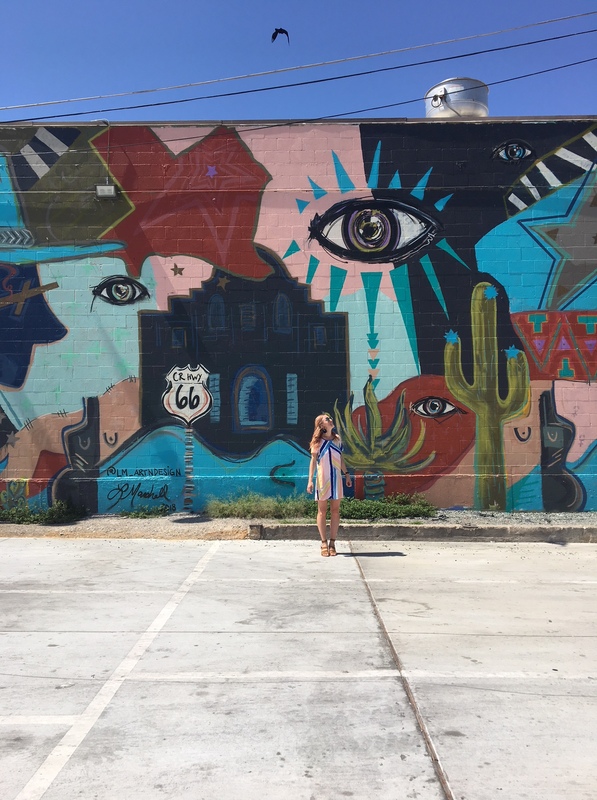 I loved adventuring through Dallas and can’t wait to return to see the expansion of murals, hear some live music in Deep Ellum, and advance my Margarita Mile status! No weekend is complete without brunch and a trip to Dallas is no exception. I met up with some friends at Henry’s Majestic–highly recommend the mimosa “sparkle bar” and monkey bread appetizer to share. 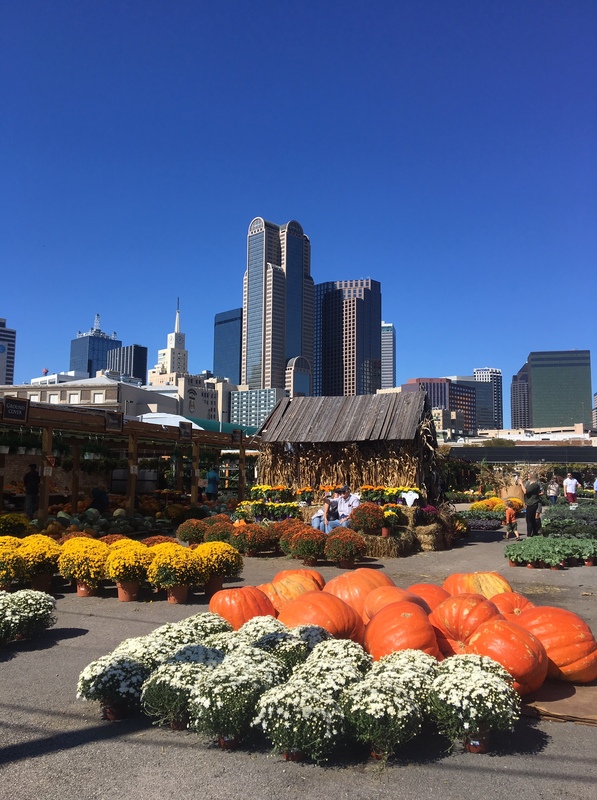 Afterwards, after a tip from @DallasLoveList – I went to Ruibal’s Plants of Texas to take some autumn pictures with the Dallas skyline and brought home a nice white pumpkin! Did you know they naturally grow like that? 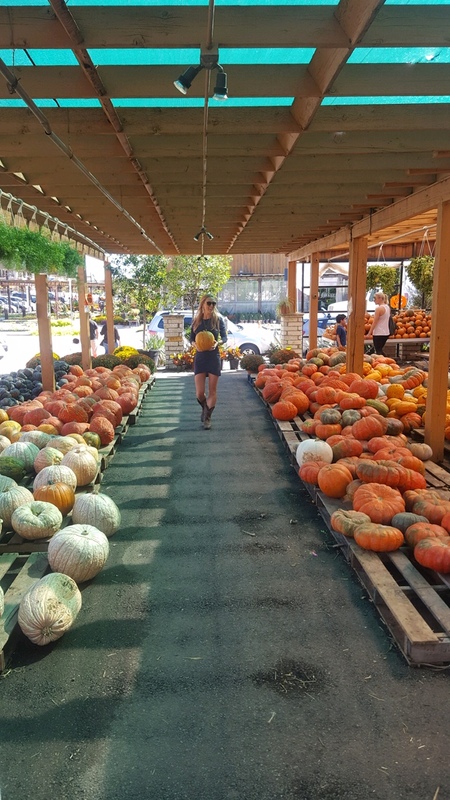 Want more North Texas adventures? 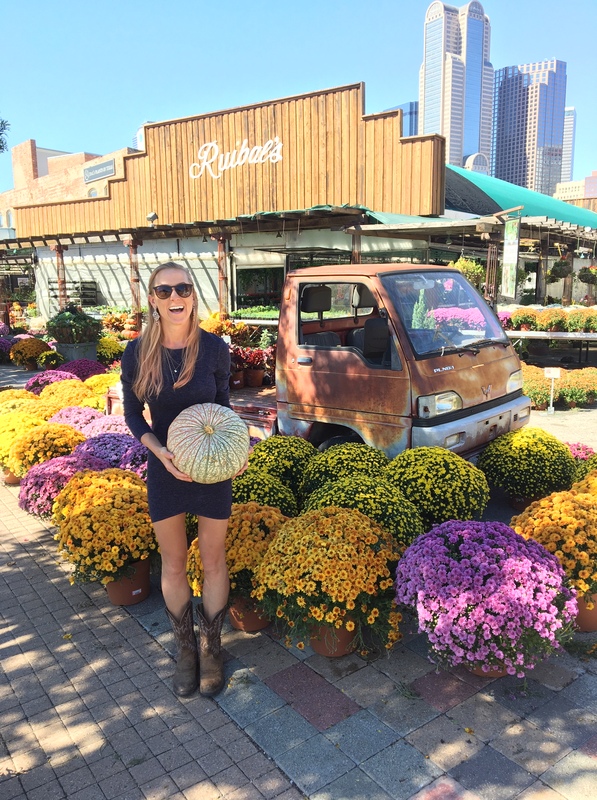 Check out Natalie’s Dallas weekend guide, and stay tuned for adventures in Plano and Frisco! 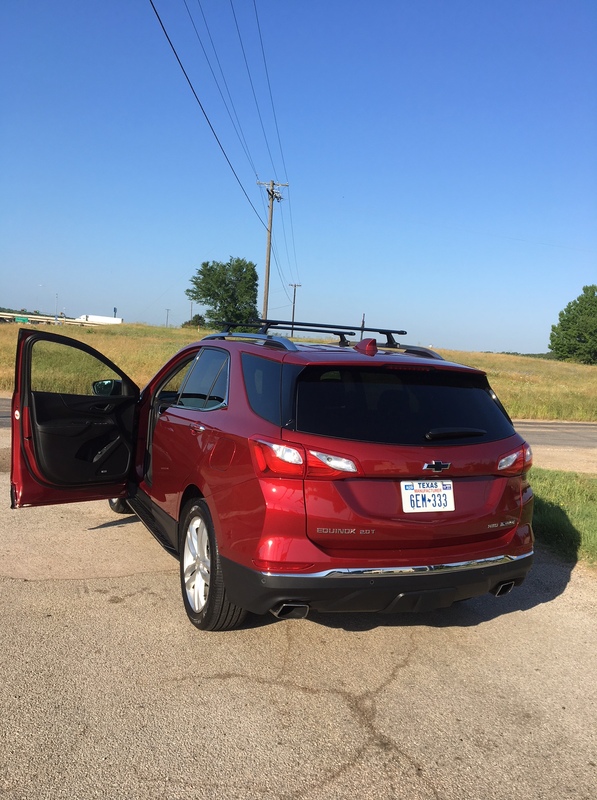 Tags: Chevrolet, Chevy Equinox, Dallas, deep ellum, Deep Ellum Brewing, Margaret Hunt Hill Bridge, Margarita, Margarita Mile, Mokara Spa, Omni, Omni Dallas, Purapecha, Reunion Tower, Traveling Man. Bookmark the permalink. Previous post ← Join the It’s Not Hou It’s Me Team! 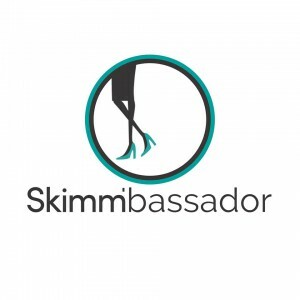 Apply for Our Summer Internship!